Understanding your competition is crucial if you're planning to find a restaurant for sale in Glasgow. For example, this can help you price your menu effectively following buying. Most importantly, doing this can help you establish whether Glasgow is the right place for you to buy a restaurant in. 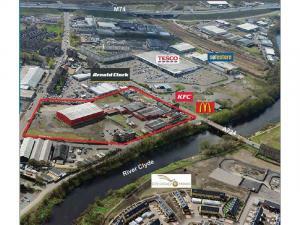 Deciding on where to locate a restaurant in Glasgow is critical when buying. Should you locate to an area with a high concentration of shops, passing footfall will be one of the major benefits. Furthermore, will you be able to provide the customers with parking spaces. So start your search for Glasgow restaurants for sale, considering all these points. It will save you a lot of time if you select a restaurant for sale in Glasgow that has the right use class. It may be that the property you choose was not for a restaurant usage previously, then you'd likely need to acquire planning permission. Keeping this in mind can make your restaurants for sale in Glasgow search much easier. It will be useful to consider all the possible expenses for restaurants for sale. One of the largest fees when opening a restaurant is the deposit needed to buy the property in Glasgow. Furthermore, the costs to apply for several different types of licences for your restaurant in Glasgow can add up. So make sure you take all these potential expenses and start searching for restaurants for sale in Glasgow. It may be that you need to raise funding to buy a restaurant in Glasgow. Happily, there are a range of options open to you should you be in need of a cash injection to buy your restaurant. You may want to get investors involved in your Glasgow business, but don't always look to friends and family as relationships can become strained when money is involved. So when you have decided what approach you will be taking to finance your business, start here at MOVEHUT to find your ideal restaurants for sale in Glasgow.